Phi Sigma Tau was founded in 1930, at Muhlenberg College, as Alpha Kappa Alpha, with chapters in Maryland and Pennsylvania. Its essential purpose was and is to promote ties among philosophy departments in accredited institutions and students in philosophy nationally and, eventually, internationally. Both on the local, national, and international levels, Phi Sigma Tau considers its organization as instrumental: a means for developing and honoring academic excellence as well as philosophical interest. The Florida Beta chapter of Phi Sigma Tau, at Florida Atlantic University, is the oldest chapter of the Society in Florida. Inductions into the Florida Beta Chapter of Phi Sigma Tau are held once per academic year. Students are selected for induction into Phi Sigma Tau on the basis of overall academic achievement, demonstrated excellence in philosophy courses, and commitment to the pursuit of philosophical knowledge. Students are notified when they have been selected for induction and are invited to participate in the induction ceremony that is held at the end of the academic year. The faculty advisor for the Florida Beta Chapter is Dr. Marina Banchetti . 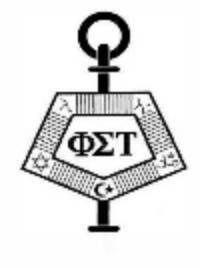 If you are interested in finding out more about Phi Sigma Tau Honor Society, about its history, and about its criteria for membership, please visit their website at phi-sigma-tau.org.